Come experience Queens Farm – the oldest continually farmed site in New York State. The current site consists of a 47-acre tract of farmland that showcases the 300-year history of agriculture as a way of life in New York City. 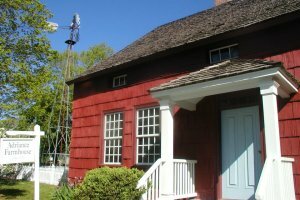 Enjoy free tours of the Adriance Farmhouse, built in 1772, and learn about the evolution of this unique tract of land from a colonial homestead to a bustling truck farm serving the needs of a growing city well into the early 20th century. Tickets for a tractor-drawn hayride will be for sale as well as fresh alfalfa to feed our goats.